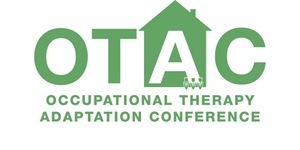 OpeMed will be exhibiting for the first time at the OTAC Conference in Southampton, which will be OTAC’S final event of the year, on Wednesday 5th December. Held at the Hilton Hotel Ageas Bowl, Southampton the conference will showcase the most current equipment and adaptation guidance that you will require in your day to day practice. Our Product Specialists will be demonstrating our OT200 Compact Ceiling Hoist as well as our Monarch Portable Hoist and Gantry System for semi-permanent solutions. Our OT200 which is powered for lifting, lowering and traverse is our superlative tool for families or carers to lift and transfer somebody as safely and easily as possible, in whatever environment, be it bathroom/wet room, bedroom or living space. The small size and quiet motor make it aesthetic and unobtrusive, which for domestic environments is paramount. The Hoist will be affixed to our Gantry system. Equally as unobtrusive and ideal for Hoisting and Transfer needs that are semi-permanent, our Monarch Portable Hoist will be shown alongside the OT200 on the Gantry system. The conference represents a fantastic opportunity to network with other professionals within the Occupational Therapy field and learn about the latest equipment and technology and discover how it can benefit you, your clients and your practice. We would love for you to see our equipment in action and find out how it can benefit you. If you would like to book your free entry, please click here.